A Grafton County Corrections officer was arrested on Friday night on drug charges. The Grafton County Sheriff’s office says Michael Barata 29, of Wells River was arrested after a lengthy investigation by the NH Attorney General’s Drug Task Force and the Grafton County Sheriff’s Department. Barata is charged with Acts Prohibit – Felony Heroin, and Delivery of Articles Prohibited Felony – Heroin. 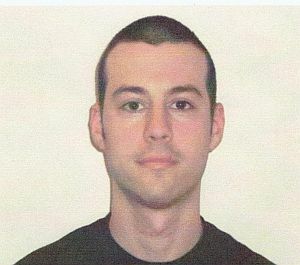 Barata was immediately terminated from his position upon arrest. He is being held on $10,000 cash bail and will be arraigned on Monday, March 30 in Haverhill Circuit Court. Sheriff Douglas Dutile says additional arrests are forthcoming. Brittons’ Lumber Yard in FairleeVT was left in ashes from a 4-Alarm blaze on Sunday. The fire was first toned to the Thetford Fire Department just after 8:15 pm and went to a 4-Alarm immediately. Fire Departments from surrounding communities help fight the blaze, and at one time, there were over 26 pieces of fire apparatus at the scene. Thetford Fire department left the scene just after 1 am. Britton had two divisions the plant in Fairlee which produced Eastern White Pine boards and its wholesale distribution in Gray Me that sells the building materials from warehouses in Fairlee. A 24 year-old Woodsville woman was arrested early Saturday morning for breach of bail and drug charges. 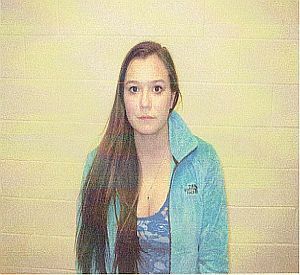 The Grafton County Sheriff’s Office says after a lengthy investigation by the Grafton Country Department of Corrections and Sheriff’s Departments, Haverhill Police Department and the NH Attorney General’s Drug Task Force, a search warrant was issued and Chantelle D. Paradise was arrested. Paradise will appear in court on Monday to face charges of the felony charge of Acts Prohibited – Heroin and Breach of Bail Conditions. More arrests are expected.